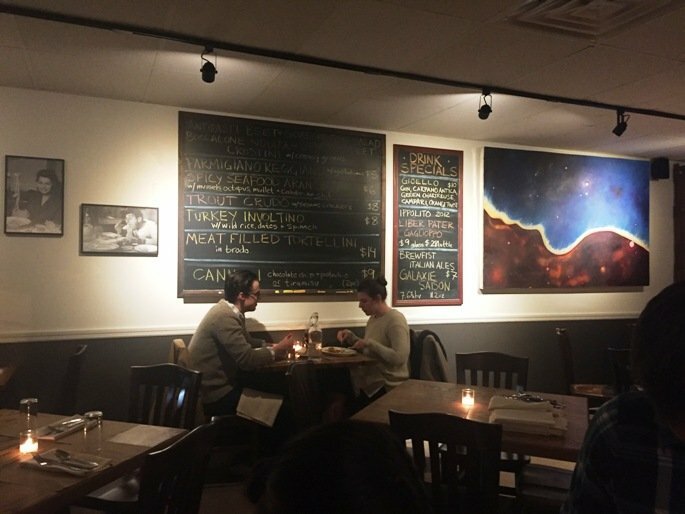 First Take: Gocciolina in Durham, Italian Fare That’s Fantastico! 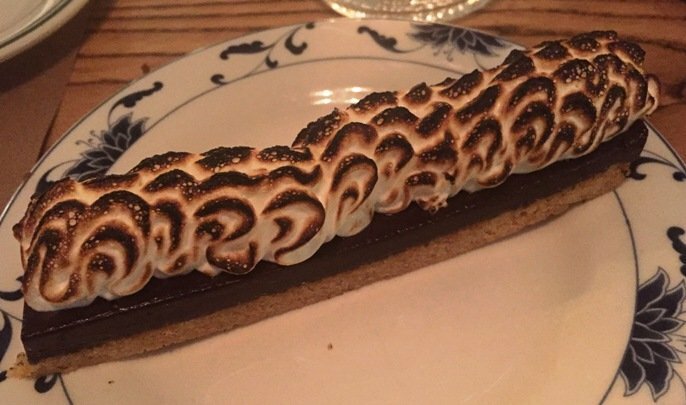 I usually don’t have too much time to keep up with restaurant reviews since I’m usually writing my own but of course I did notice the N&O Restaurant of the Year for 2014, Gocciolina. 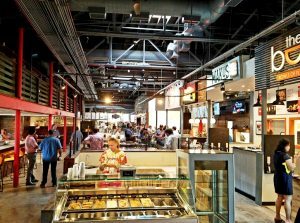 Given their location, it would not be easy for me to visit the place and I’d run into them every now and then at local food events to sample their cuisine. But thankfully, I finally found an excuse to visit this cozy Italian ristorante and it was totally worth the drive! 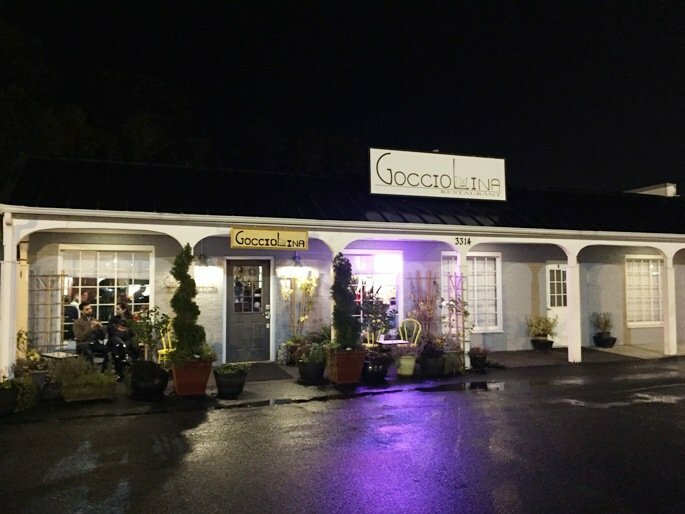 Located in a quiet spot off of Guest Road, Gocciolina sits in a low-slung gray building with humble signage. And inside, it’s not much different. 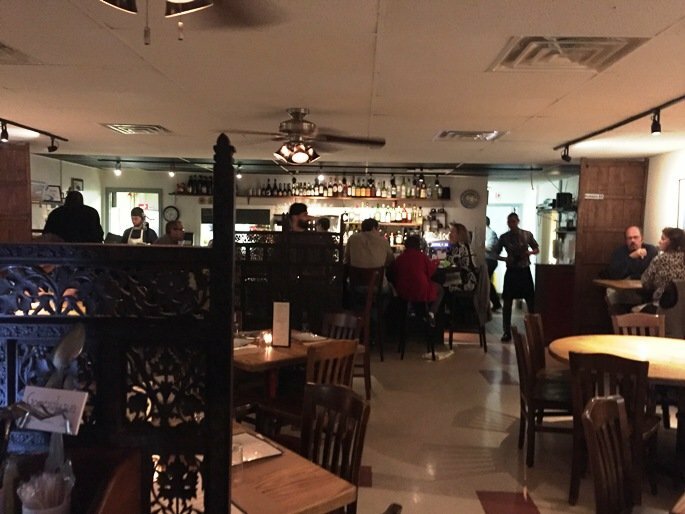 The small, bustling dining room has a hostess kiosk up front and maybe sits 50 or so people with a bar in back. I had made reservations about two weeks beforehand for a Wednesday so we were in good shape; the weekends here are really busy so call ahead. 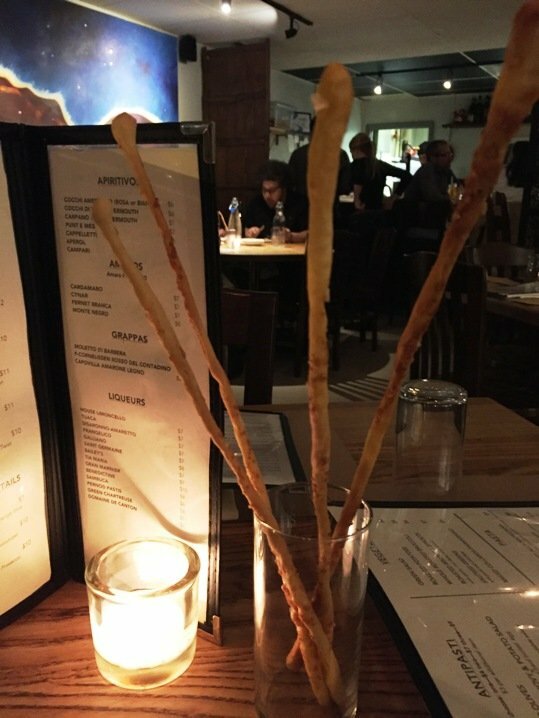 We’re seated at a small 4-top and presented with some long bread-sticks on our candle-lit table. 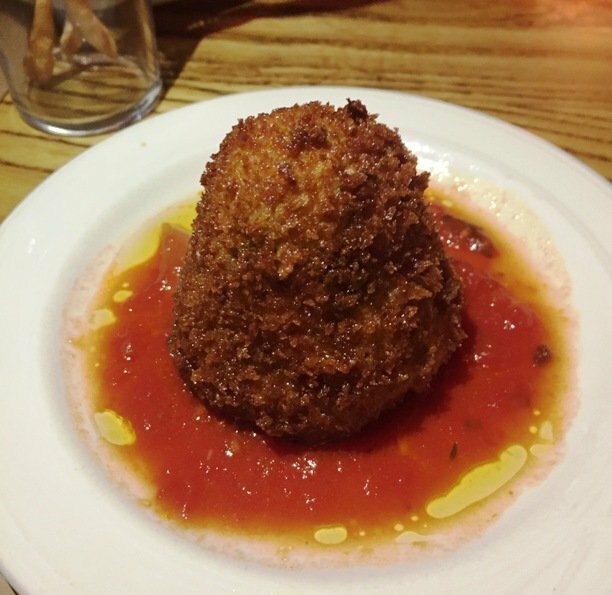 The arancini comes out first and it’s BEAUTIFUL looking appetizer. A largish, cone shaped morsel in sauce, I split it four ways so we all get a taste. It’s perfectly fried with a wonderful, seafood filling, which is quite different for me. Looking around the table I see a lovely pasta in broth dish along with other Italian goodies. We are off to a great start! The main plates come to the table next and I dive into the gnocchi first. It’s a bit different than what I usually get, baked in a platter and served with splotches of fresh mozzarella on top. 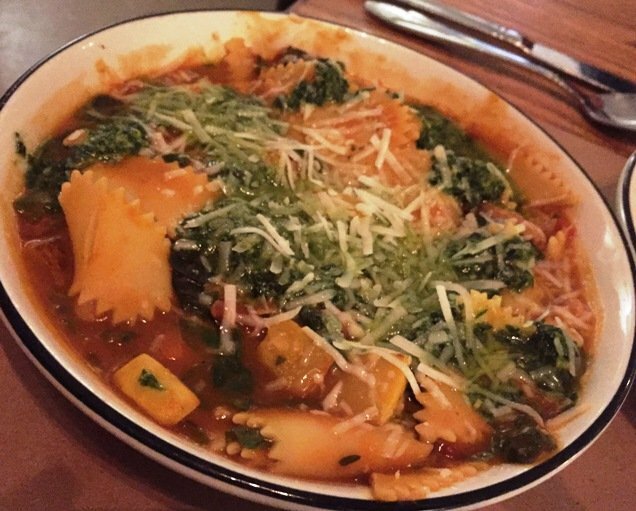 But it’s excellent with a bright red sauce and comforting pasta, a delicious choice. The steak ($11) is a spin off of bistecca tagliata (sliced steak) and it’s served perfectly here. 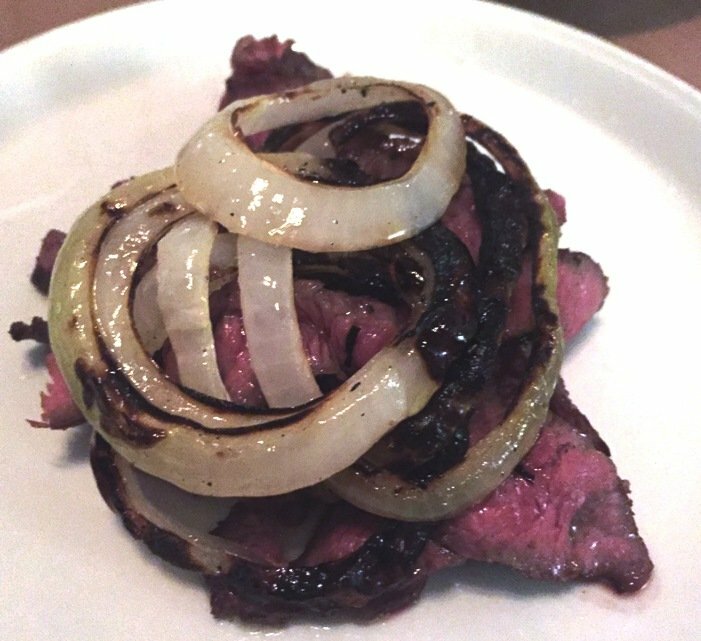 A rare cut of what I think is flank with seared onions for maximum flavor surface area, lovely. Very impressive and useful. Your reviews and photos are well done. Thanks for all that. 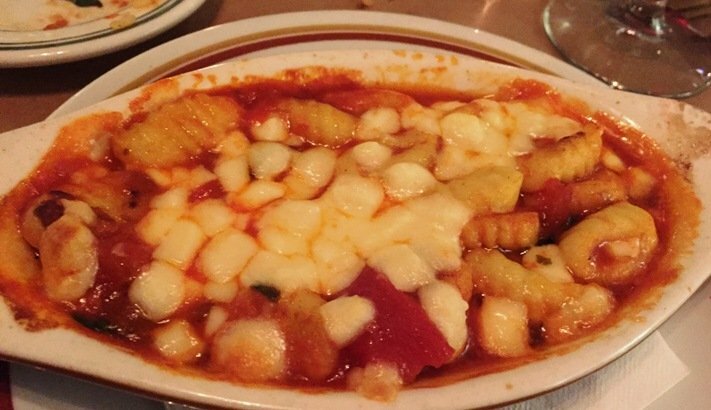 Gocciolina is just down the street and so has become one of our favorites. Great food and wine at great prices + pro service, almost unknown in NC. 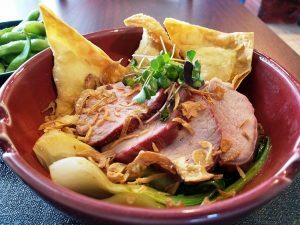 I publish a cooking and eating website. Mostly our recipes and snapshots. Take a peek. 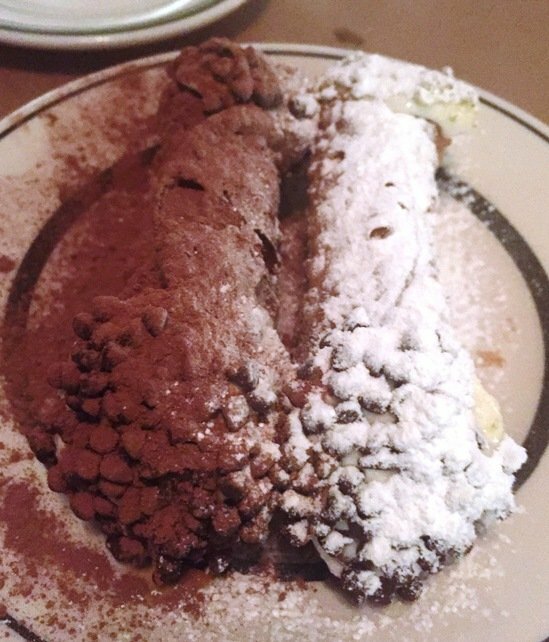 Hey Alan, thanks for checking out the blog and yes, loved Gocciolina for my one visit and need to get back soon! I love that it’s casual too. I will check out your blog soon, thanks for the tip.